Being part of the fashion-forward crowd is no easy task. You need not only to update yourself with the happenings of haute couture through fashion shows. Also, you need to mix up your wardrobe, putting up a look that’s not just up to the standards of the current trend, but also the look that’s most appropriate to your context. A new addition should be; the modern man bag. The exotic choices available in women’s fingertips ease the challenge, but the same cannot be said for men. Given the conservative selection of form factors in contrast to the female wardrobe, it’s not uncommon to see male fashion take a few pages off the book of women’s fashion. However, to have something that’s truly male, one that you can definitely say that’s for men, you will have to stay within the confines of tradition, authenticity, and detail. You can also take a look at the man bag, a bag that shouldn’t have been male until men wore it and donned it like a man. 2 What is a Man Bag? 3 Which Type of Man Bag Should You Choose? 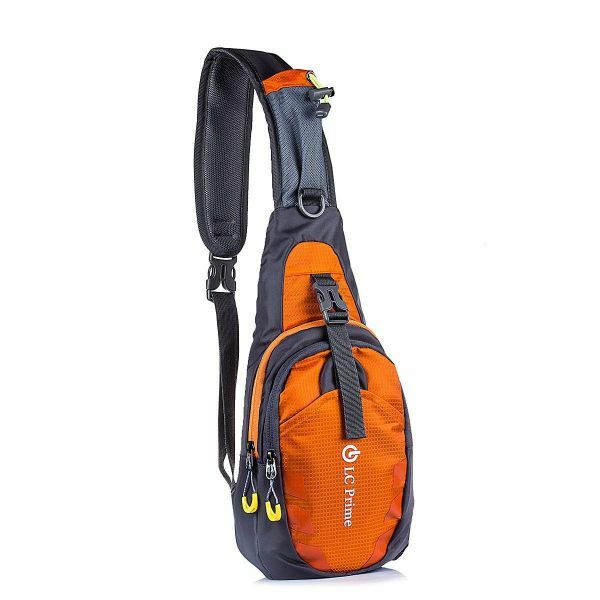 Take on the mountains, the city, and even the country with the LC Prime Sling man bag! This water-repellent and tear-resistant nylon bag is the perfect partner for the man of the outdoors. You can choose from the array of 14 colors to make it truly yours while keeping the sporty look alive in the manliness that oozes as you wear this bag. For a cleaner crossbody bag, the Water-resistant Leather Chest Sling Crossbody Man Bag is worth a look! This bag checks all the boxes the previous one did, from water-resistance and scratchproof-ness to fireproof-ness. As what you’d expect from leather, this bag is happily durable and formal. Now you can get to look cool and aesthetic even at work! Nothing can still beat the charm of this Classic Casual Leather Crossbody Man Bag! This leather bag is deceptively small, but its size is not tantamount to the features this man bag has! With a high-quality leather exterior and a healthy array of pockets inside and outside, both colors of this bag will look perfect for the males of the city. Look the part of a fashion-forward metrosexual with the Casual Designer Leather Man Bag! The bag has been designed with fashion hand-in-hand with function in mind. Not only can you pack a lot of things inside the attractive leather, you can turn the streets into your own personal runway as you don this everywhere! For a more minimalist appeal, look no further than the NeatPack Versatile Canvas Sling Bag! With well-thought-out ergonomics, the bag can be worn in many ways, in all the ways you want. Plus, it’s made out of durable, water-resistant polyester canvas with top-quality zippers and durable strap clip so you can go about worry-free. Significantly larger than most bags in this list, the Casual Leather Messenger Bag is for the busier men, who bring portfolio after portfolio, among other paraphernalia. Made of high-quality leather, the bag can hold most things any respectable businessman usually brings, and it does so with style. For a good balance in size and portability, the Envelope Leather Messenger Bag hits the mark pretty well. This bag can go really well with your formal attire, and its leather exterior is not just great to look at; it is also soft to the touch. It has a spacious inside that will fit most things you will need on the go! For a more backpack-y look to your man bag, take a look at the Rectangular Leather Messenger Crossbody Bag! With three attractive colors to choose from, the bag sports large pockets with multiple organizers inside, keeping all your things nicely tucked in. Look stunning while in casual mode with this bag. The Sleek Retro Leather Crossbody Bag is the perfect embodiment of sleekness and retro! The shiny patina of the bag is extremely tantalizing, even at first glance. The bag also doesn’t fall short of its bag features, too, packing a lot of pockets, including an anti-theft hidden wallet pocket. Your daily strides can make people around you look twice with this bag! The shiny finish of the Genuine Cow Leather Crossbody Bag is but one of the many things that this bag has going for itself. This bag catches attention simply by being worn, and it has a heck lot of pockets than your one hand can count. It has an anti-theft inner pocket for your wallet and keys, a zipped main interior storage, and a smartphone pocket for easiest access while on the go. The Satchel Cross Body Canvas Messenger Bag is produced using premium canvas, a solid and durable material, which makes it the best go-to pack for most casual settings! 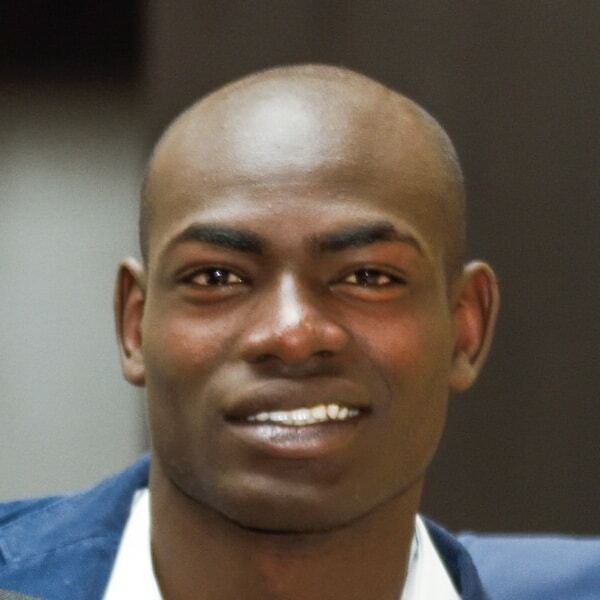 With an easygoing and striking look, it will look awesome with your lighthearted and dynamic style. Using the Waterproof Canvas Messenger Bag might be the best choice if you are fairly active during the rainy season. The waterproof pack has a roomy inside where you can put your gadgets and books without making the sack look cumbersome. The sack has a cowhide associating the lash which makes it tougher. Made out of soft and durable washed canvas with leather, the Muzee Sling Bag for Men takes its design inspiration from its very function, looking simply casual but packing the right features you will expect out of the bag. It even has an external USB port that connects to a power bank inside. The Brown Leather Sling Bag is made of high-quality PU leather. This sling sack is outfitted with an advantageous headphone hole and a USB charging port, while brilliant zippers and exact creases make it strong. You can wear this sling bag over either shoulder comfortably, or across the chest to stop thieves. Advantageously light and fashionable, this Vintage Leather Saddle Crossbody Bag has a rich array of pockets for your day by day necessities, a well-concealed pocket, among other features. It has 100% genuine scratch-resistant cow leather exterior, with an accurate and neat suture, making for a great overall bag. The Anti-theft Crossbody Canvas Messenger Bag has an extremely appealing crossbody bag look that, together with its bunch of compartments and pockets, will ensure to make your life less demanding. Grab the eyes of everyone along the road and get complimented on the metro with this phenomenal pack! The Shoulder Canvas Messenger Bag can hold your devices, organizers and everything you want to put. The pack features an easygoing style that fits either your casual outfit or even your office clothing. The pack has a hand-sewn canvas material that guarantees that it won’t tear even with extraordinary weight. Look chill yet formal while wearing the Casual Shoulder Leather Bag! The preppy zipper that cuts through the leather shows the very essence of the bag. The bag represents the bubbly personality that most young professionals should have in a place as serious as an office workplace. What is a Man Bag? A man bag is fairly hard to define other than saying that it’s a bag for men. The funny thing is that men weren’t usually seen having a bag to be brought around; having to bring a load of stuff everywhere was perceived to be in the domain of the opposite gender (see females fumbling for their make-up and other similar items). Obviously, times have changed and now we’ve hit the record of seeing bags enter mainstream male fashion. To help us tell what indeed is a man bag, below are some excellent examples and right on the list below are the kinds of man bags there can be! Read on to find out! Which Type of Man Bag Should You Choose? 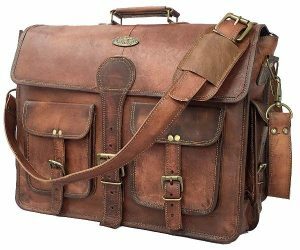 There are many types of man bags around:.there are the satchel, the hobo bag, the briefcase, the messenger bag, and the duffel bag. However, we will be dealing with the last three. Briefcases are most likely the most established type of “acceptable” man bags. These bags have evolved considerably since the times of sharp-cornered cases. They’re not any more square shaped; the rounded edges, clasps, cowhide, and bunch of compartments help make this bag a much-needed expansion to any man’s closet. 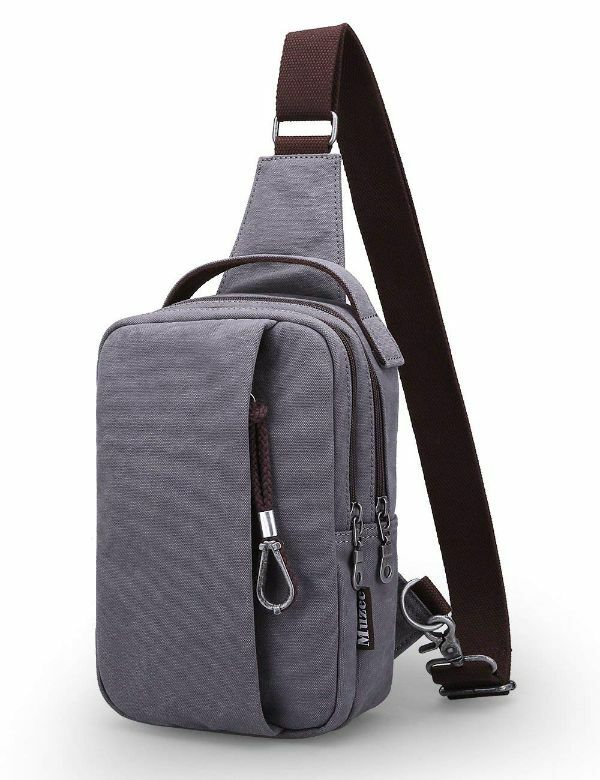 Messenger bags, also called courier bags, make large articles of items easy to store and access while we’re on the go. These bags are called thus because the design of these bags makes them perfect for messengers (postal workers, bicycle couriers, etc.). You can probably call this the male tote bag with an extra sling and be happy with it. Any man who travels a lot needs a holdall for those excursions or business trips. Enormous, cumbersome gear has changed into smooth, snazzy holdalls (or carryalls). It is heavily inspired by the duffel bag, with contemporary design hints to make it more practical. For perhaps a very long time, bags weren’t on the horizon of mainstream male fashion while the feminine side has been partying with designer brands playing with animal skin and synthetic fibers. For men, the existence of the bag outside its intended function must have been something unthinkable (at least for them), but that is not the case anymore. Of course, the male population won’t use a bag that screams emasculation. Thus, the man bag comes to save the day. In fact, this essential is on the rise! Bags weren’t considered to be part of male fashion until recently. The surge of man bags encouraged the proliferation of such accessories. For men, the presence of the bag outside its proposed function is more likely than not something unfathomable (in any event for them), however, that isn’t the situation any longer. The modern man bag is indeed the bag for men who seek to be fashion-forward in this time and age.